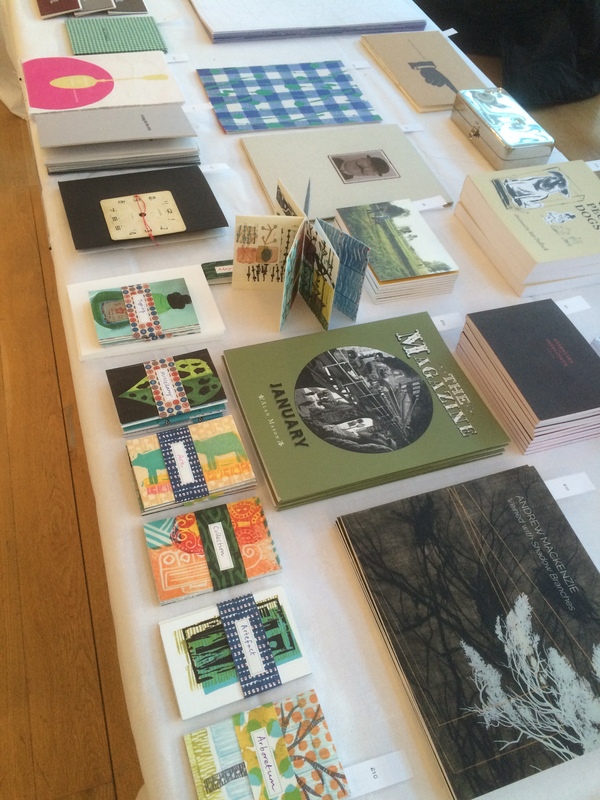 This is a belated blog post relating to the Caseroom’s recent attendance at the Small Publishers Fair in London. Held at the Conway Hall, the fair always attracts a good crowd, and we saw brisk sales across the two days, with purchases by not only private collectors but Winchester School of Art and UWE. Thank you to everyone who came and visited us. So our favourite book fair that only occurs every two years has been and gone in a flash. 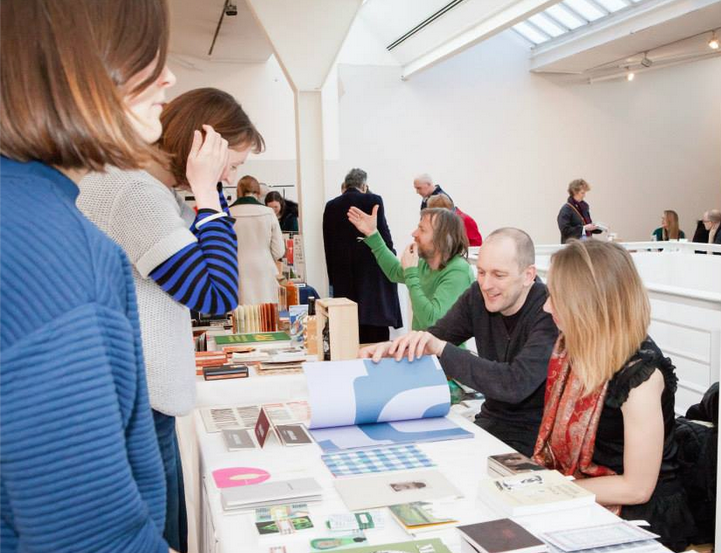 The weekend enabled us to meet up with a host of friends who were also showing work – ABPress, HG Makes, Semple Press, Corinne Welch, Elizabeth Willow, Imi Maufe, Andrew Morrison and many more. Highlights included Passport Control organised by Stephen Fowler (and his assistant niece), the wonderful trolley dolly/grumpy tea lady and her cake-laden tea trolley, the various workshops, and of course, having the opportunity to talk to lots of lovely visitors about our work. Thank you to Sarah and Tom for excellent organisation and roll on 2019! 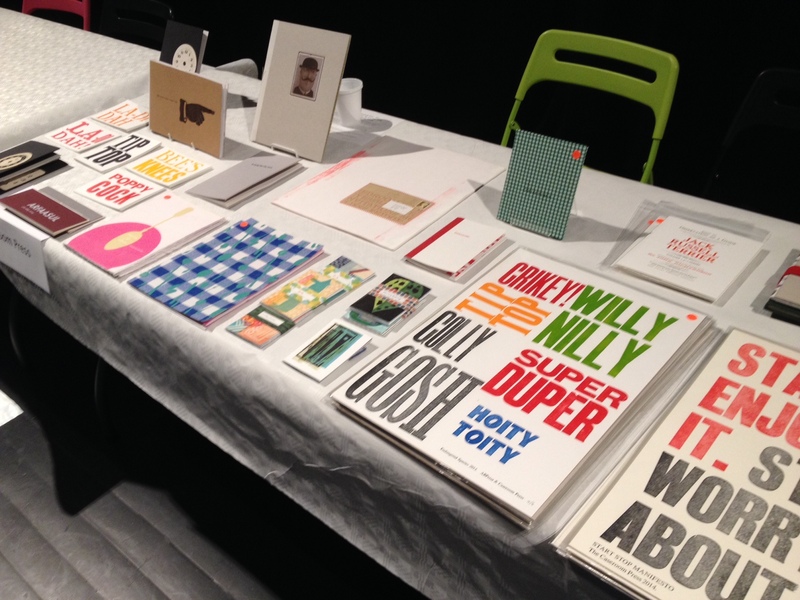 After which, ably attended by Ken Cockburn Alison Bowden and Alan Mason, The Caseroom Press were ‘on table’ at the Fruitmarket Gallery for their annual Artists’ Book Fair. As you can see, they were the first to arrive, and yet still, somehow, the last to finish setting up. They obviously spent too much time thinking and not enough time doing. Barrie also spoke about ‘The Most Ambitious Book We’ve Never Published’; The Utopian Tales. 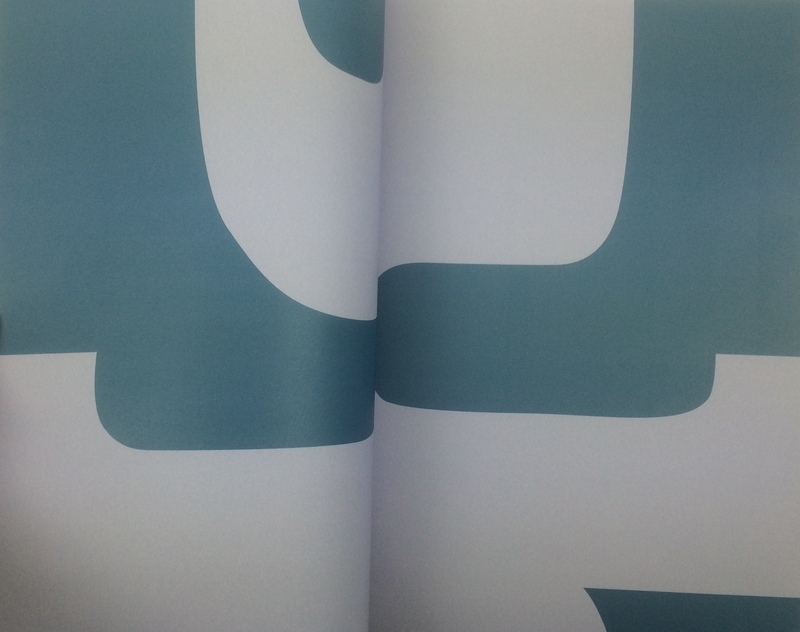 Which inches closer to actually becoming a book. He’s currently waiting on a few of the illustrators to send him their updated biographies. The Utopian Tales had taken a very long time to come to fruition, and Barrie is finally hoping that he can see the edge of the forest. 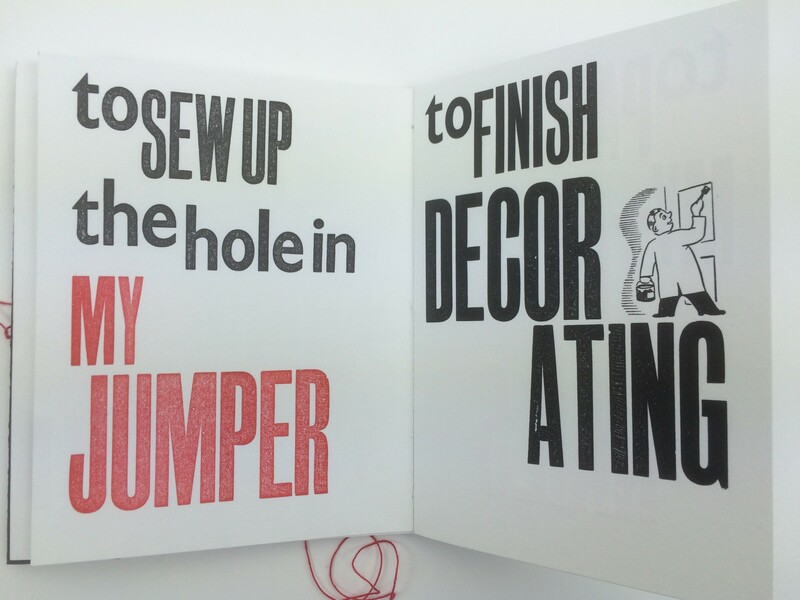 This weekend we attended BABE – the Bristol Artists Book Event at the Arnolfini, which is brilliantly organised by Sarah Bodman and Tom Sowden from UWE. 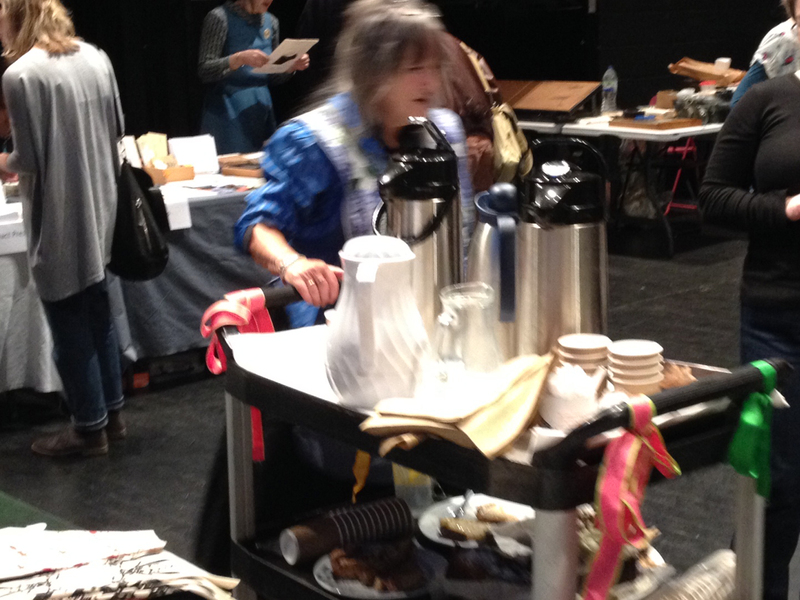 Exhibitors spanned two floors and there were workshops, performances and readings throughout the two day event – plus regular supplies of tea and cake from the wonderful Snoozie. 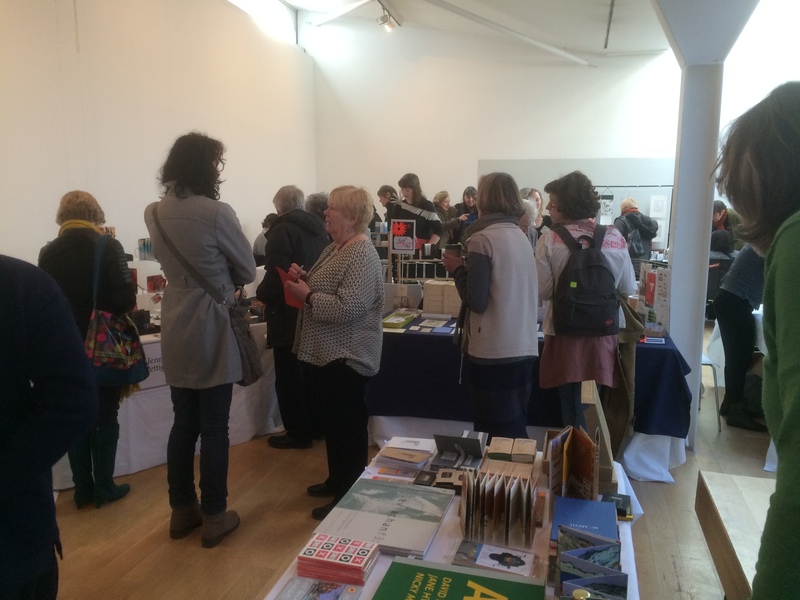 After a very long journey which included a delightful one hour stop-over in Newark, Barrie finally made it up to Edinburgh to join Alison Bowden and Ken Cockburn at the Fruitmarket Book Fair. 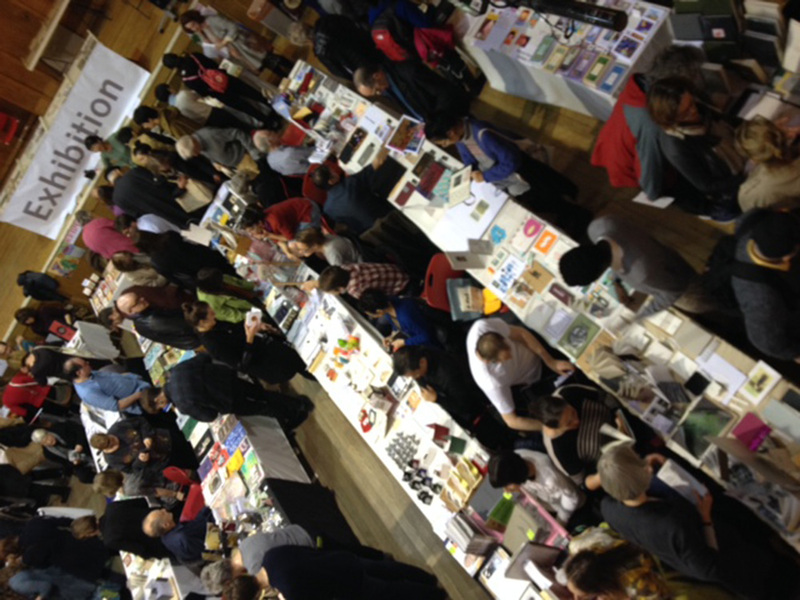 With a table laden with delights, including Philippa’s new book There Is No Time and Barrie’s books, Perec and A Song for the Arts, they had a wonderful weekend of discussions, conversations, good company and even some sales. Philippa, as always led the way, with Jantze’s ‘jewel-like’ concertina books a close second. 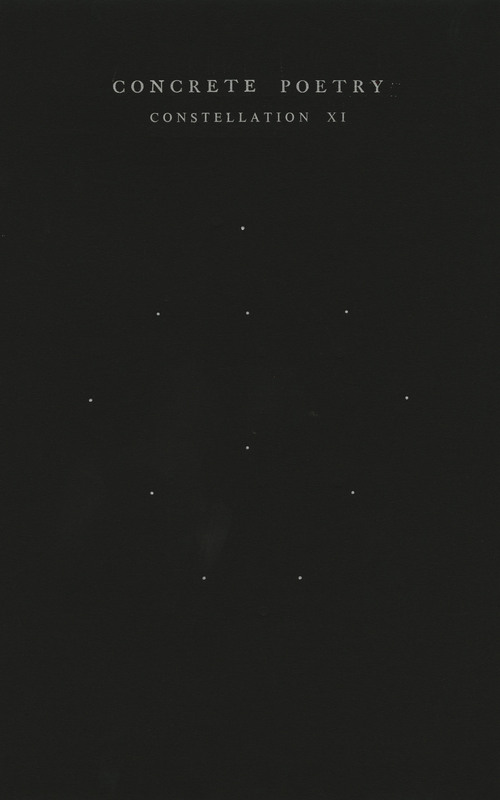 Barrie’s talk about Typewriter Art (he is peerless in his knowledge of the subject – it says so on the Fruitmarket Gallery website) must have gone well, as the book moved up to number 48 in the top 100 Graphic Design Books on Amazon afterwards. Here he is in full flow. Notice that he’s working without his notes or his glasses. 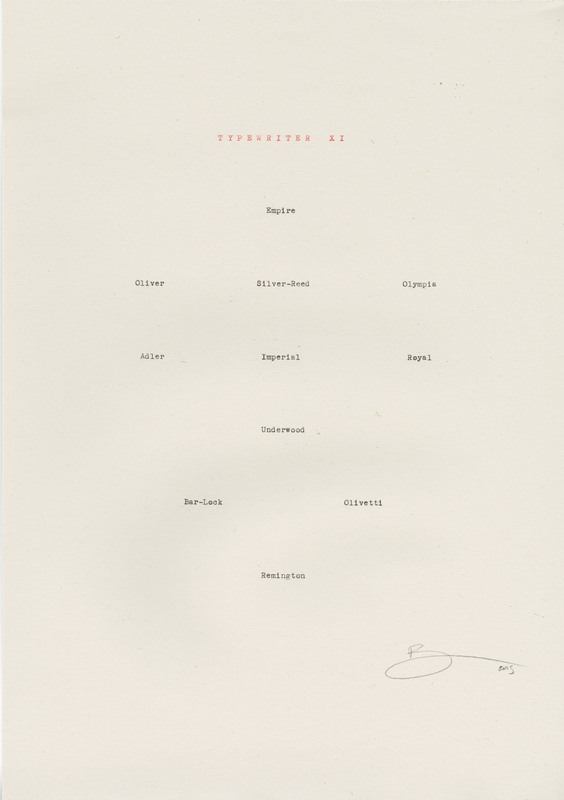 This means that either he a) forgot his notes, b) forgot his glasses, or c) he really is a Typewriter Art expert. 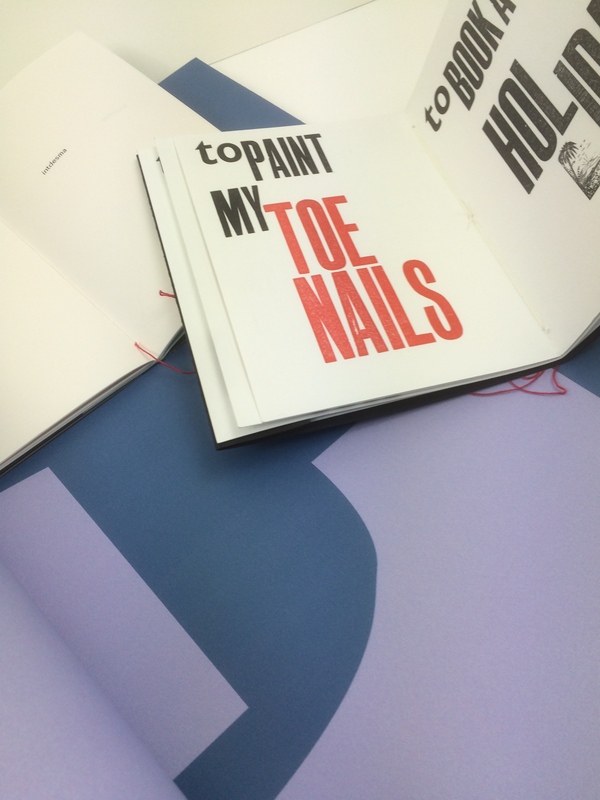 … Philippa and Barrie have been making last minute books for Edinburgh’s Fruitmarket Gallery Book Fair tomorrow. 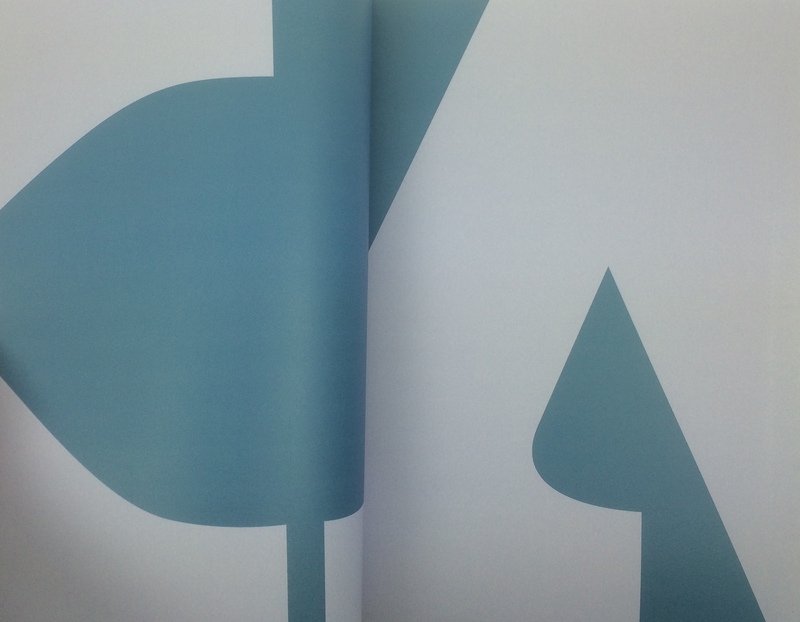 The books include Philippa’s beautiful Letterpressed There Is No Time. 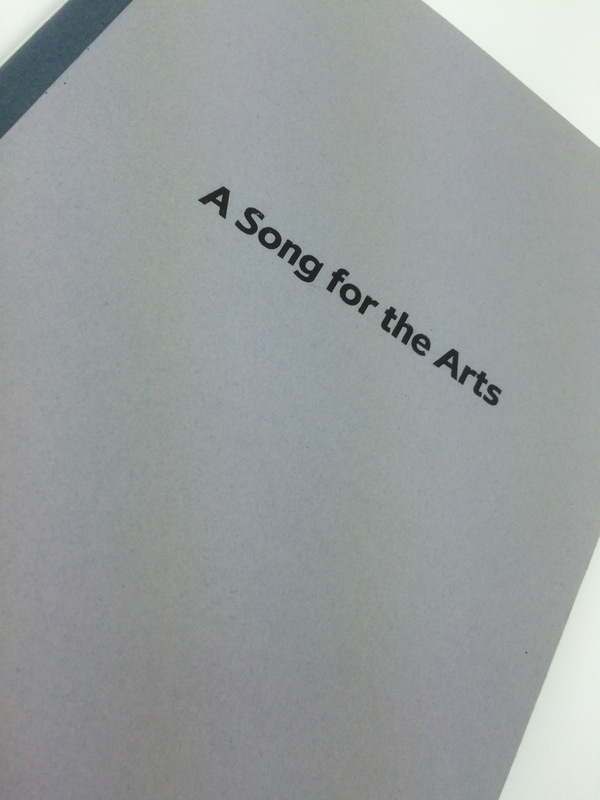 Barrie’s sequel to A Song for an Art School – the aptly named – A Song for the Arts, which celebrates the courses in the new School of Architecture & Design. 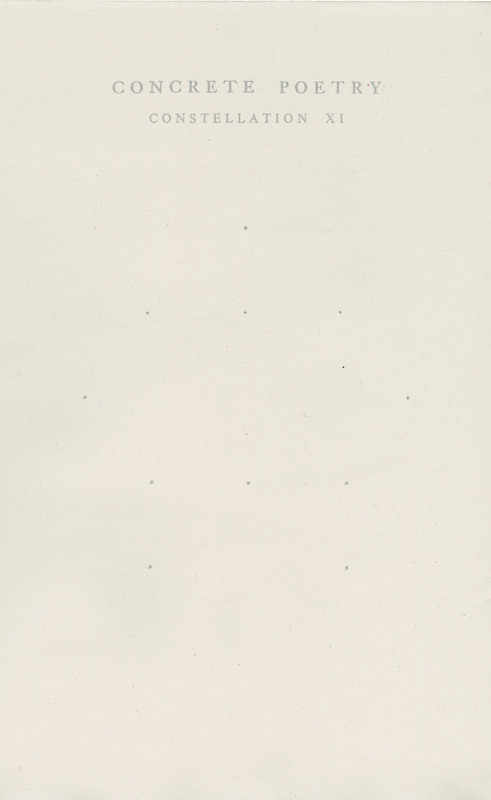 And finally Perec. Which is really, a big book about nothing. Barrie is also talking Typewriter Art on the Saturday afternoon. 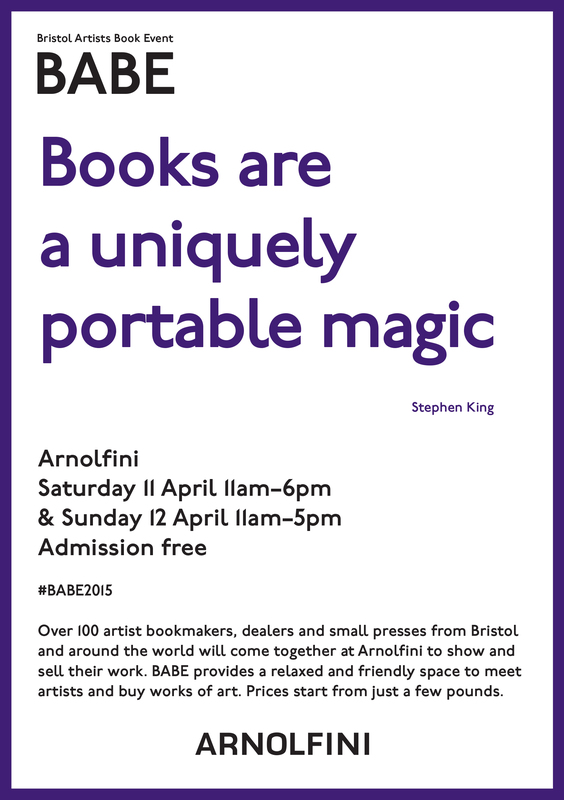 So if you want to find out why you can’t tweet on a British Typewriter, come along to the Book Fair. 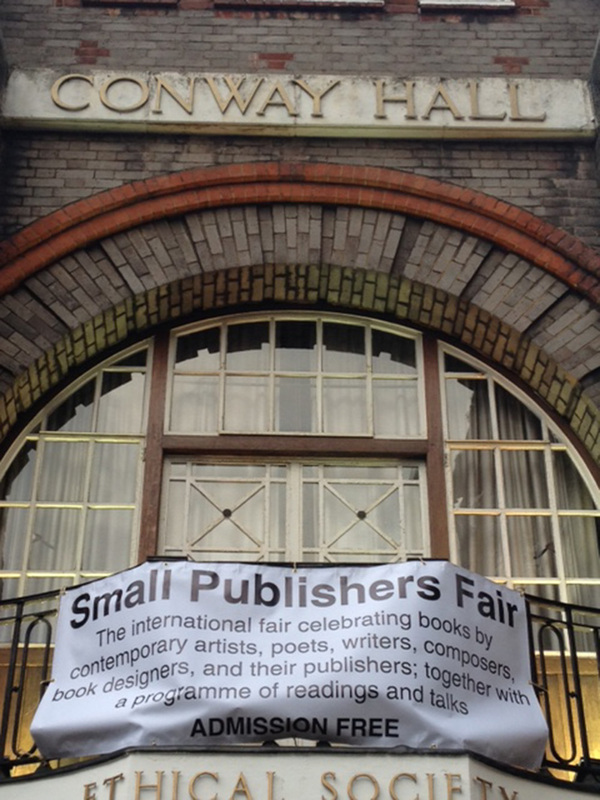 The Caseroom were happy to be part of the Small Publishers’ Fair at the Conway Hall in London at the weekend. An early train from Lincoln got us to the venue in time to set up for the 11:00am start on the Friday. 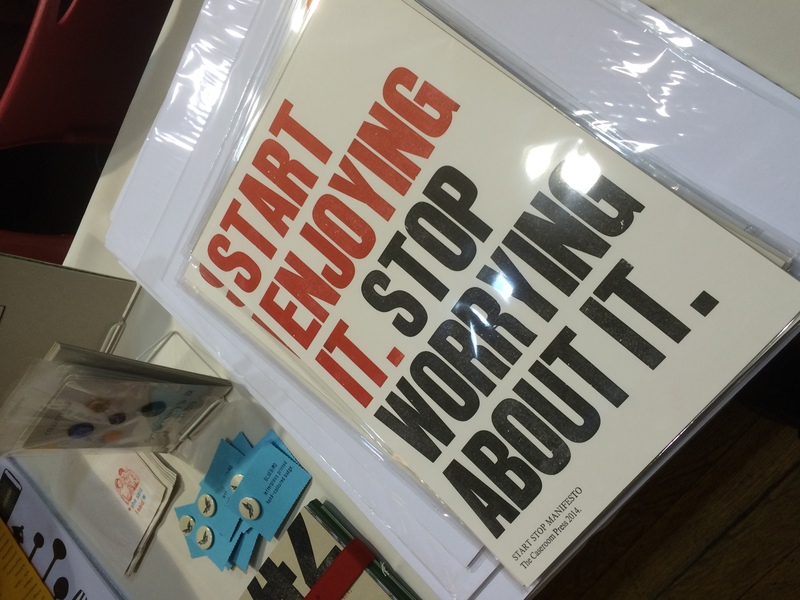 The Start Stop Manifesto looked particularly splendid – a Letterpress print by Angie Butler and Philippa – which was by far our most popular item of the weekend. It was nice to see some of our alumni who popped along to say hello, plus catch up with lots of other people who came to visit (and sometimes even make a purchase!). Along with the Manifesto, the best sellers of the weekend were Barrie’s Typewriter Art book, and Philippa and Angie’s letterpress ephemera. 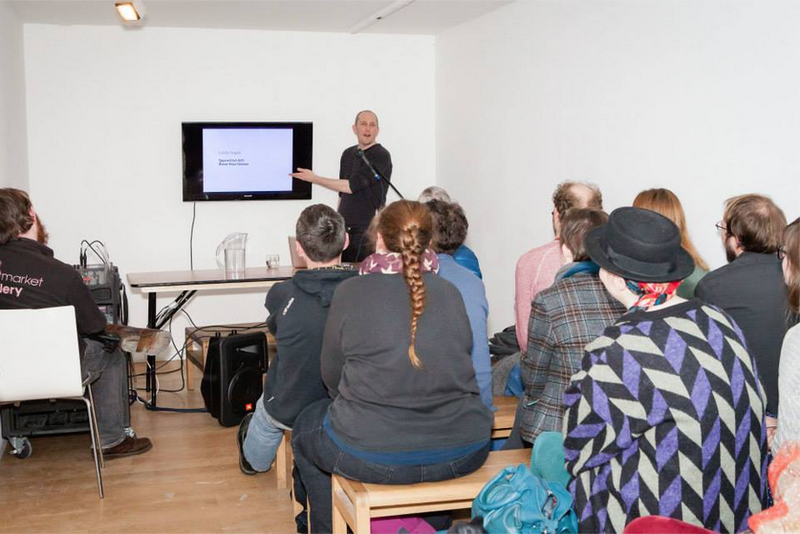 Barrie was also one of 11 speakers at the Saturday Readings with his talk about The Typewriter and The Book.